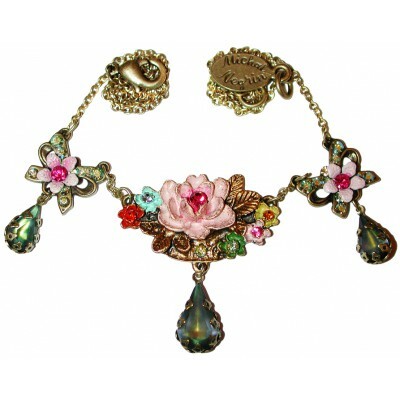 Michal Negrin necklace with red sparkling Swarovski crystals, painted flowers and a central pink rose. 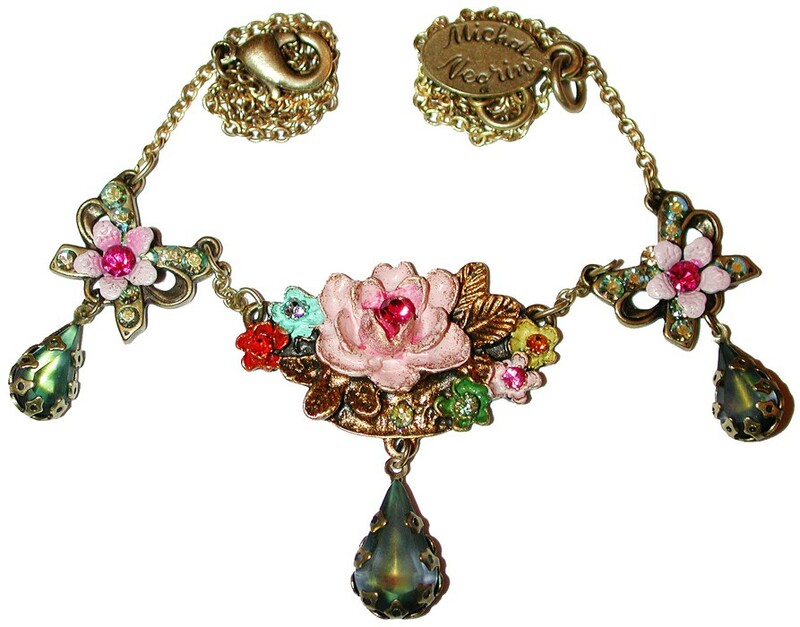 The chain length is adjustable. Nickel-free brass.